GED stands for General Education Development or General Education Diploma. The GED is an internationally recognized test. If you pass the GED test, you will earn an High School Equivalency Certificate. It can help you get a job or admission to an educational or training program. After completion of a GED, the Department of Corrections awards 90 days good time for educational credit. A person’s failure to control their anger is a common factor in violent crime. Some experts have estimated as many as 20 percent of Americans suffer from anger management problems. Helping offenders understand anger and learn how to deal with it is also useful in drug court and community correctional programs and in helping clients who are resistant to treatment. After completion of MRT Anger Management, the Department of Corrections awards 90 days good time for program credit. The class focuses especially on typical criminal thinking issues such as: Everyone lies, cheats, and steals; no one can be trusted; the rules don’t apply to them; that all relationships are manipulative. Thinking For Good is used with resistant offender populations in groups. The program prepares the most resistant clients for more treatment. After completion of MRT Thinking For Good, the Department of Corrections awards 60 days good time for program credit. MRT addresses beliefs and reasoning. It is a systematic, step-by-step group counseling treatment approach for treatment-resistant clients. The program is designed to alter how clients think and make judgments about what is right and wrong. The MRT system approaches the problem of treating resistant populations as a problem of low levels of moral reasoning. In this case, “moral” does not refer to a religious concept, but rather the theoretical conceptualization of psychologist Lawrence Kohlberg. After completion of MRT, the Department of Corrections awards 90 days good time for program credit. Portal/New Directions is a reentry program to help inmates with the barriers they may be facing once released. These barriers may include money management, employment, parenting, housing, supervision, etc. After completion of New Directions, the Department of Corrections awards 90 days good time for program credit. InsideOut Dad® is the nation's only evidence-based fatherhood program designed specifically for incarcerated fathers. InsideOut Dad® helps reduce recidivism rates by reconnecting incarcerated fathers to their families, providing the motivation to get out and stay out. Popular among both inmates and ex-offenders, InsideOut Dad® is used in over 400 facilities in all 50 states and has been proven to increase family contact and improve inmate knowledge and attitudes. State and federal facilities, pre-release programs, community organizations, and more are using this life-changing reentry program. After completion of InsideOut Dad, the Department of Corrections awards 90 days good time for program credit. (NCRC®) is based on an individual's performance on three WorkKeys® skills assessments: Applied Mathematics, Locating Information, and Reading for Information. Scores on these assessments determine the certificate level—bronze, silver, gold, or platinum—an individual can earn. This Certificate is being recognized by many employers to help show they are job ready. After completion of the NCRC, the Department of Corrections awards 30 days good time for educational credit. Helping someone who struggles with substance abuse understand what may trigger a relapse is a fundamental step in helping that person avoid relapse. Relapse prevention actually is the primary goal of treatment, but focusing on relapse prevention issues should take place sometime after the client is engaged in treatment and is not actively using substances. 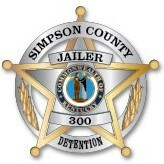 After completion of MRT Relapse Prevention, the Department of Corrections awards 90 days good time for program credit. Some parents lack a sense of what many people would consider basic parenting skills, but are capable of being good parents if they learn these skills. This class offers a cognitive behavioral program to help these parents overcome their struggles and succeed, designed to help participants develop parenting skills and assess values related to family. Clients confront their parenting skills and habits, perform a clarification on their values regarding family, and establish appropriate discipline routines. After completion of MRT Parenting, the Department of Corrections awards 90 days good time for program credit.